Interactive Stuff: Polls, Petitions, Eco-footprint calculators! 2012 Update - not sure if the 79 signatures on the petition made a difference, but stevia is now legal here in the EU and available in just about every bio shop! 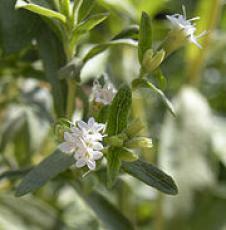 The stevia world is abuzz with the expected approval of stevia in March 2010. Add your voice to the petition! We are asking the European Food Safety Authority (EFSA) to consider the consumer benefits to having all natural, zero calorie stevia and stevia products on our EU foodshelves. Stevia rebaudiana Bertoni is a small shrub belonging to the Asteraceae family, native to Paraguay. It has been safely used as a sweetener for centuries; in Japan, where it has been used since the 60s, estimates are that up to 40% of sweetening is done with stevia. Stevia\'s extracts, steviol glycosides, are up to 300 times sweeter than sugar without any calories. So, it is a 100% natural, zero calorie sweetener, proven harmless and optimal for diabetics and health-conscious consumers. We're sending this petition to the team at EUSTAS (http://www.eustas.org): they have spearheaded efforts to get the sweet contents (steviol glycoside) of stevia approved as a food additive by EFSA, so they can place the petition in the right hands!